Check out gThankYou’s free 2019 Day-to-Day Employee Celebration Calendar! 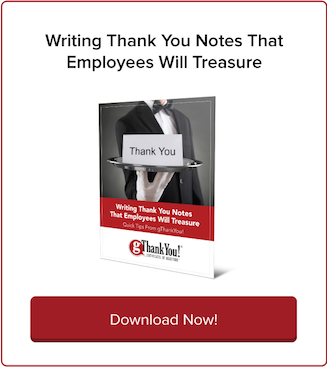 Every month is full of great ideas for sharing appreciation in the workplace. Get your calendar out and start scheduling some fun – happiness will follow! March is the ideal month to build workplace happiness – winter is dragging on and for most of us, spring seems a long way off. Luckily this month is FULL of opportunities to share workplace appreciation and inspire some easy fun. Hopefully you have already downloaded our free Day-to-Day Employee Appreciation Calendar for 2019 so these celebrations may already be on your radar. If not, click the link above and let’s get started! It’s always the first Friday in March (wow February seemed to fly by even faster than usual). 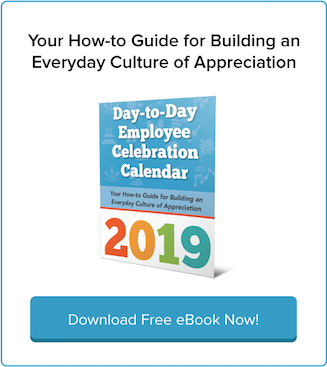 You can check out some our blog posts about this day from prior years for more ideas and to learn why employee appreciation is so important but here is a key takeaway – just share your sincere appreciation – that’s it. Any day that has a tagline of “No one’s perfect, but everyone can be awesome” is indeed awesome. Start gathering some tips to help get your awesome on in the workplace. This year’s theme is Happier Together. “Because life is happier when we focus on what we have in common, rather than what divides us.” Get daily “happiness action” messages when you download the app at www.dayofhappiness.net. How about a pie baking contest? Or how about some Pie Gift Certificates from gThankYou? Or an office challenge to see who can recite the most digits of pi from memory? Let’s not forget that pies can be savory too – order pizza for your staff at lunch. February is the perfect month to share workplace kindness – with Random Acts of Kindness Day (17th) and Week (February 17th though the 22nd), and Valentine’s Day! Take advantage of these dates and inspire kindness in your workplace. Planting seeds of kindness yields improved moods and productivity. Better yet, it’s contagious. Share a little kindness and see how it ripples through your office. Build workplace kindness with compliments! Download this free compliment poster by Kind Over Matter for your workplace. Blanket the workplace with fun posters, notes, emails, etc. of appreciation and encouragement. Delight colleagues with little gifts of appreciation. Be creative! Have work groups select “get to know you questions” and answer out-loud. Send departments that don’t work together to a lunch together and provide thought provoking questions on the table. A homemade treat is heartwarming but impractical with a large organization. Keep it easy and affordable with a $5 gThankYou Gift Certificate for Candy or Ice Cream and a note of thanks! Spread messages of kindness throughout the workplace. Take advantage of Random Acts of Kindness’s FREE posters, calendar, work-plans, etc. to promote kindness! The Random Acts of Kindness Foundation provides many free resources for sharing and inspiring kindness including this calendar of daily ideas. We love their mission and inspiration to helping us building a kinder world. For a real-world case study in workplace kindness, read Harvard Business Review’s “Making Kindness a Core Tenet of Your Company” by Bill Taylor. What a wonderful story! How can you use “kindness agents” in your workplace? Kindness flourishes in an environment of gratitude. 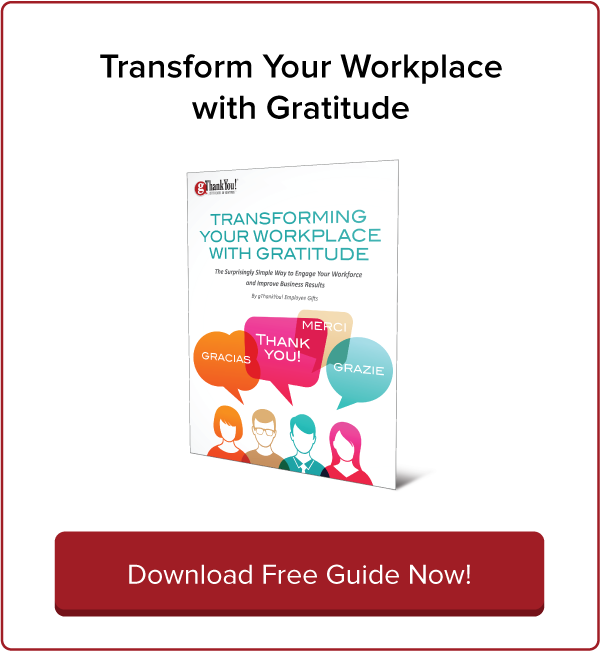 Learn how to nurture a workplace culture of gratitude, appreciation and kindness with this popular free eBook. 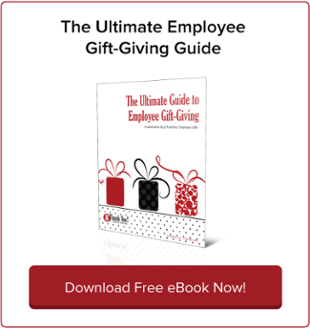 This popular resource is full of ideas and the research behind building a kinder, happier and more loyal workplace all year-long. LiveLoveWork.com has provided a prompt to boost kindness at work for each week of the year! Here’s another list we love for posting in the workplace. This acrostic contains 20 tips from O.C. Tanner about random acts of kindness in the workplace. It underscores how being kind can be simple, but isn’t always our default setting, especially in the workplace. R: Recognize when someone is having a bad day; find out what you can do to help. A: Ask a coworker a thoughtful question, then listen (really listen!) to the response. N: Nix gossip when you hear it. D: Drop off a delicious snack at someone’s desk. O: Offer to help with a task a coworker doesn’t enjoy. M: Make time to connect with a former colleague. Check out the rest of their acrostic (acts of kindness) for more great ideas. Our favorite idea for sharing workplace kindness is from the Monroe County Humane Association in Indiana. We love this idea so much it’s in our 2019 Employee Celebration Calendar! Monroe County Humane Association in Indiana raises money through its “Send a Snuggle Day” for Random Acts of Kindness Week. For the annual event, which began in 2014, the public can donate money to send “animal ambassadors” to spread a little cheer and kindness to a person or team of their choosing. The snuggly emissaries have included dogs, kittens, rabbits, goats, a miniature horse, and an albino snake. (No one ever sends the snake, MCHA executive director Rebecca Warren notes.) Volunteers accompany the animals into banks, schools, and other workplaces. Warren told the Indiana Daily Student that when Send a Snuggle visits a workplace, it’s usually not just one person who reaps the benefits. We’d love to hear your workplace kindness stories. Share them with us and we will share them on social media and highlight them in our blog! We hope your new year is off to a great start and wish you and your colleagues a year that is full of hope, happiness and kindness. Psychology Professor Laurie Santos specializes in evolution and animal cognition, but after living among undergrads when she became head of Yale’s Silliman College (think the Houses of Hogwarts), she realized just how stressed out and depressed they were. Reviewing mental health surveys from the National College Health Assessment she learned that the issues Yale students were having were similar to those of college students across the country. Students report already high and increasing rates of anxiety, depression and hopelessness. Santos set out to design a course to convey not just the science behind positive psychology research but how putting those concepts into practice could have a profound impact on students’ happiness and quality of life. Santos did not anticipate the the overwhelming interest in her course from students (1 in 4 students at Yale have taken her class), nor did she predict that it would become a sensation with articles in the New York Times, O Magazine, national television appearances and international media coverage. New year…new plans for building employee engagement and sharing appreciation! If you are familiar with our annual calendar chock full of engagement and appreciation ideas, then you’ve probably already done the free download because you know what a valuable (and fun) tool it is. Users have told us they love the monthly and daily idea format and the updated content on how to build a loyal, happy workplace culture through engagement and gratitude. It’s our holiday gift to anyone who wants to build a better workplace. Our annual employee celebration calendar is full of creative engagement concepts and festive year-round celebrations. It’s a wonderful resource for supporting employee engagement and recognition planning for the new year. Whether you have big budgets or need no or low-cost ideas, we have content and suggestions for you. Every year we strive to update our calendar with the latest research and thinking about building great workplace cultures. You’ll find mini-case studies, research, and how-to’s in addition to daily and monthly celebration ideas. Workplace Halloween fun is easy with as spread of Halloween themed treats! Whether it’s for Halloween, Thanksgiving, or the winter holidays, celebrations at work foster team unity, spark creativity, and relieve stress. Workplace parties are seen as an expression of gratitude, which boosts employee engagement and loyalty. Halloween checks all the boxes for a successful workplace celebration; it’s participatory by nature, creative, and the focus is on fun. We all love Halloween!